A new 360 camera is aiming to grab the attention of powersports enthusiasts — beginning with a shooting mode that records with the start and stop of their engines. 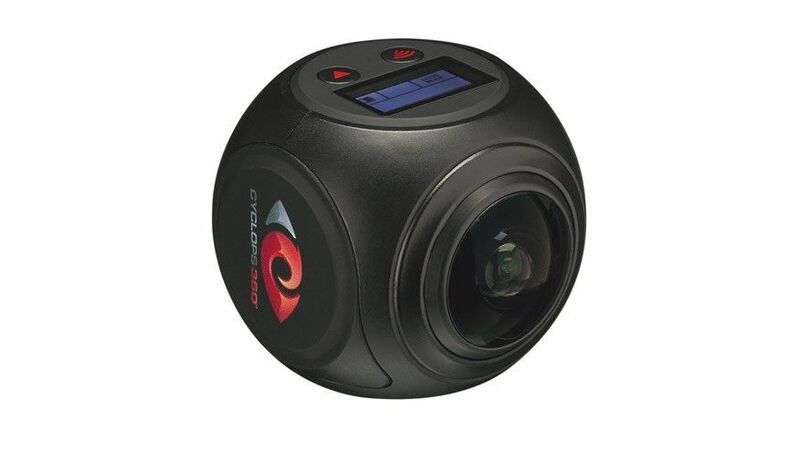 The Cyclops 360 is a single-lens 360 camera now available through BRP dealers and the BRP Can-Am website. Besides the exclusive availability through powersports dealers, the off-road-vehicle focus of the Cyclops 360 involves giving the camera a magnetic mount that manufacturers say helps cut down on the shake from engine vibration. The camera also features a car mode that will start and stop the recording when the engine starts. The Cyclops 360 uses a single 220-degree lens — with the lens pointed to the sky, the camera captures a complete 360-degree horizontal perspective. With only a single lens though, the camera captures only about 220 degrees vertically, which eliminates some of the footage underneath the camera. The camera’s 16 megapixel sensor captures videos with a 2,448 x 2,448 resolution at 30 frames per second, or 1,440 x 1,440 at double that frame rate. The camera also includes time lapse, loop recording, and slow motion video as part of the Cylcops 360’s 16 different shooting options. The camera can be controlled using a Wi-Fi connection and the CG360 app from an iOS or Android device. The camera includes ten different mounts, including options for roll bars, handlebars, J-hook, and a pivot arm, as well as flat and curved mounts. With the 220-degree vertical coverage, the pivot arm allows the camera to be mounted low and next to the vehicle, keeping more of the rider in the shot. Waterproof housing — also included — keeps the camera safe down to 164 feet, or 50 meters.